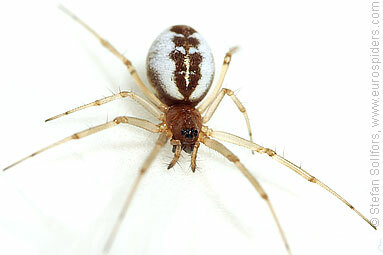 Female Frontinellina frutetorum, head-on view. 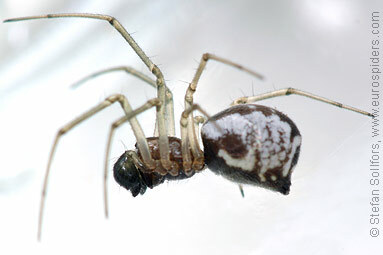 Male Frontinellina frutetorum, side view. 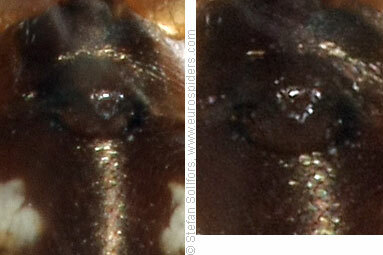 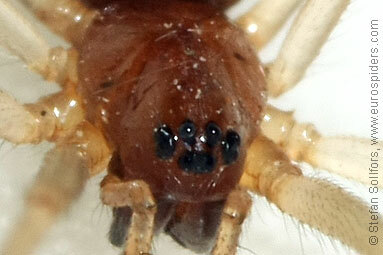 Female Frontinellina frutetorum, close-up of the eyes. 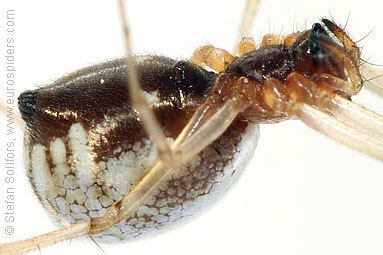 Female Frontinellina frutetorum from below. 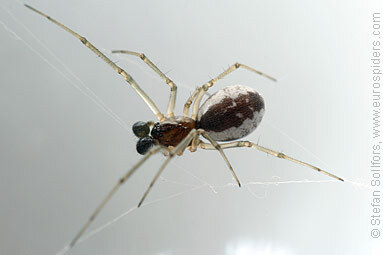 Female Frontinellina frutetorum, close-up of epigyne. 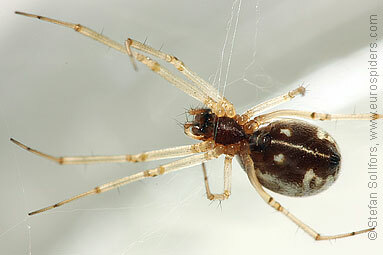 Female Frontinellina frutetorum, about 3.5 mm. 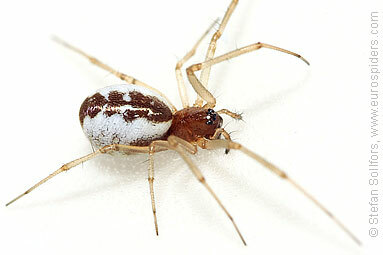 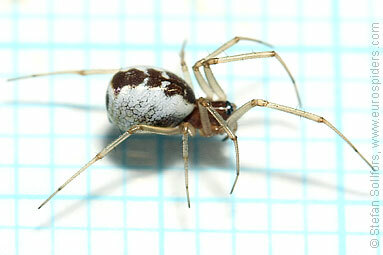 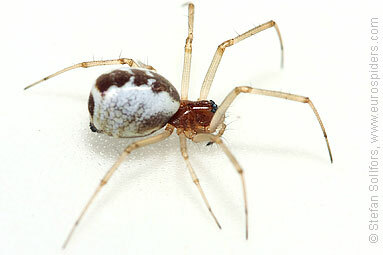 The sheetweb weaver Frontinnelina frutetorum.